This customer is a manufacturer of automotive parts with around-the-clock operations. 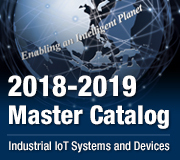 In need of assistance for tracking the production status and main alarms for two large stamping presses at their plant, they approached a software house system integrator that develops industrial IoT applications. The customer sought to optimize production, improve their alarm system, and collect key data for enhanced predictive maintenance. The customer previously employed a pen-and-paper control system. Consequently, maintenance personnel and production directors were often unaware of any production issues until a report was processed—which typically occurred a full 12 hours after the problem had arisen. This proved highly inefficient: whenever one of the presses went down, the factory lost money. To address this, maintenance staff required a system that could quickly locate and diagnose problems in order to rapidly get production back on-line. The customer wanted to track all production parts and orders throughout the workflow while maintaining the alarm status of the machines (17 signals in total). 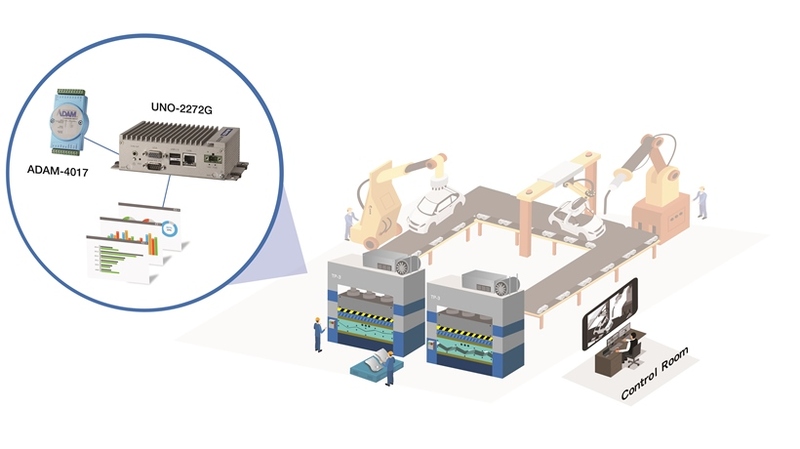 To help the customer, the system integrator needed affordable, industrial-grade hardware to connect the signal output by the stamping presses. Moreover, the hardware needed to be flexible and powerful enough for customized software installation. Each press was older than 20 years. One of them was controlled by customized electronic boards, while the other used a PLC. Media converter was utilized to convert all signals and protocols to Modbus. To acquire analog signals from the electronic boards, Advantech’s UNO-2272G-J2AE palm-sized automation computer was used. 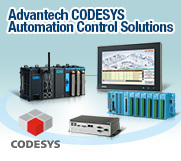 Advantech’s UNO-2000 series of Embedded Automation Computers feature specific functions like field protocols recongintion and they are suitable for data gateway, concentrator and data server applications. The performance model shortens development time and offers multiple networking interfaces to fulfill a diverse range of requirements. 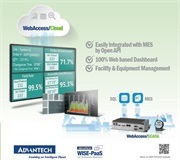 Advantech’s products were selected because the price and features were viewed as the best value compared to other market options. 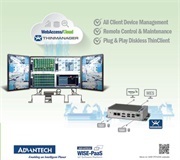 The system integrator was able to help the customer by leveraging the computing power, industrial-grade specifications, and connection possibilities of Advantech’s products. 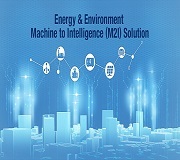 In particular, the UNO-2272G was a perfect fit for this project because of its flexible connection options. The Ethernet capability of the Modbus TCP/IP, coupled with its processing and storage capabilities, allowed it to run a Linux distribution system in addition to the customer’s own software. Moreover, the UNO-2272G’s compact size and rugged design made it particularly suitable for the factory environment. Factory production has now been significantly enhanced: being able to track production means less time is now spent addressing corrective actions when issues arise. In the future, the customer plans on upgrading all work cells in the factory to implement a total predictive maintenance system.